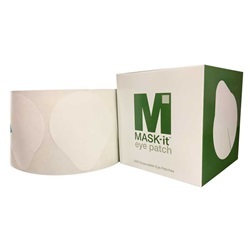 MASK-IT Disposable Eye Patches come as 500 on a cardboard roll. 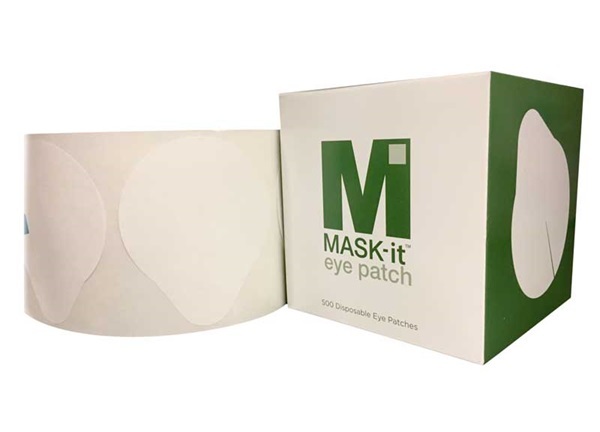 Each eye patch is a white, paper sticker that measures 3.5" long x 3" wide with a 1.5" slit. Packaging doubles as a dispenser; no need to remove roll from box.